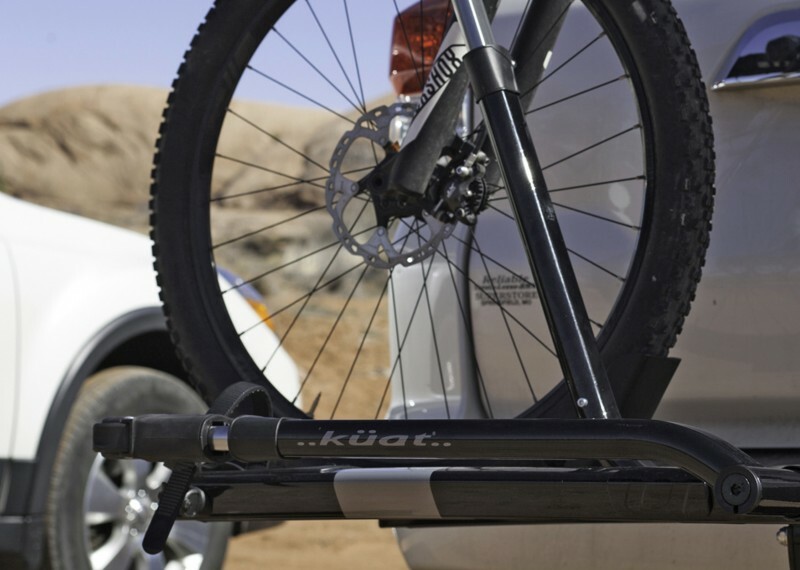 No hitch is required this platform bike rack. 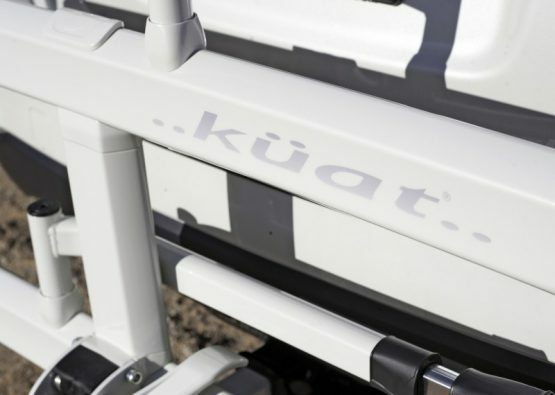 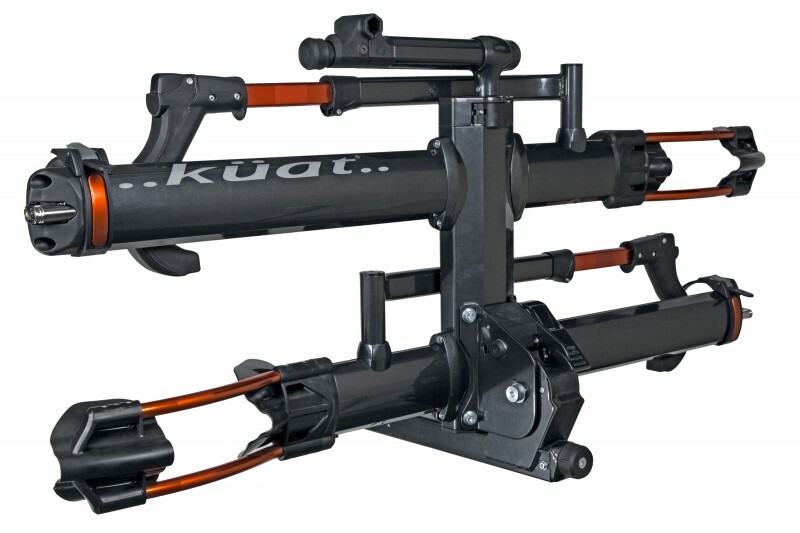 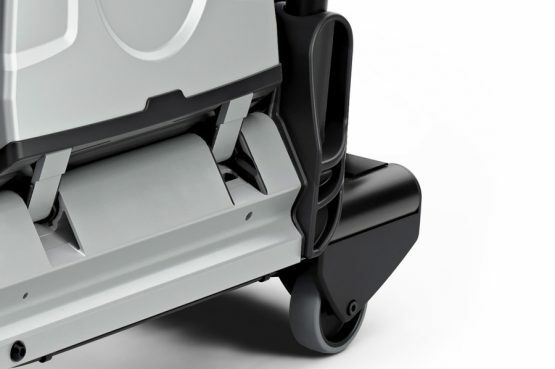 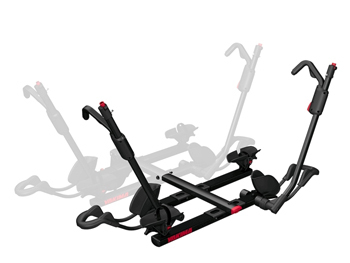 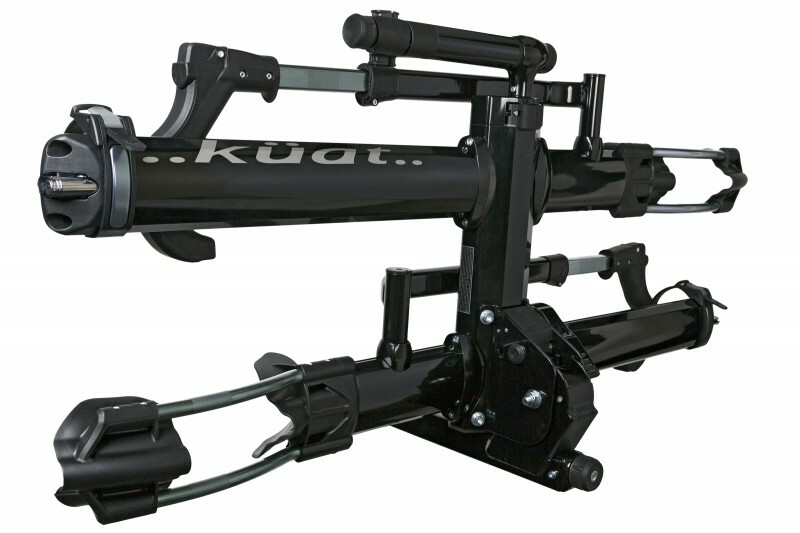 The Kuat NV 2.0 has a re-designed pivot system with foot assist, that will endure a lifetime of abuse. 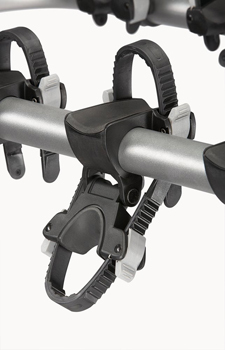 Adjustable cradles allow for fast bike fit adjustments. 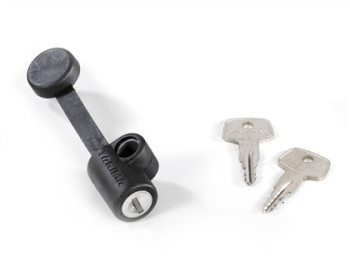 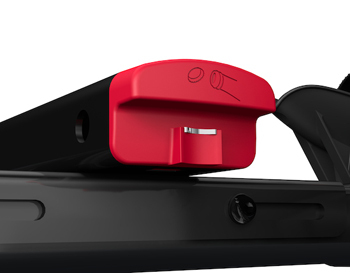 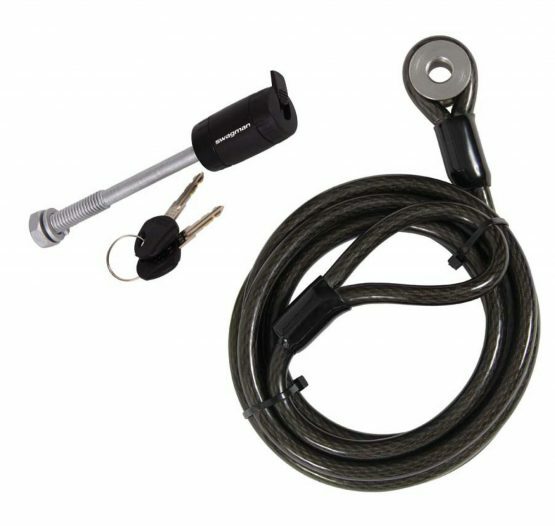 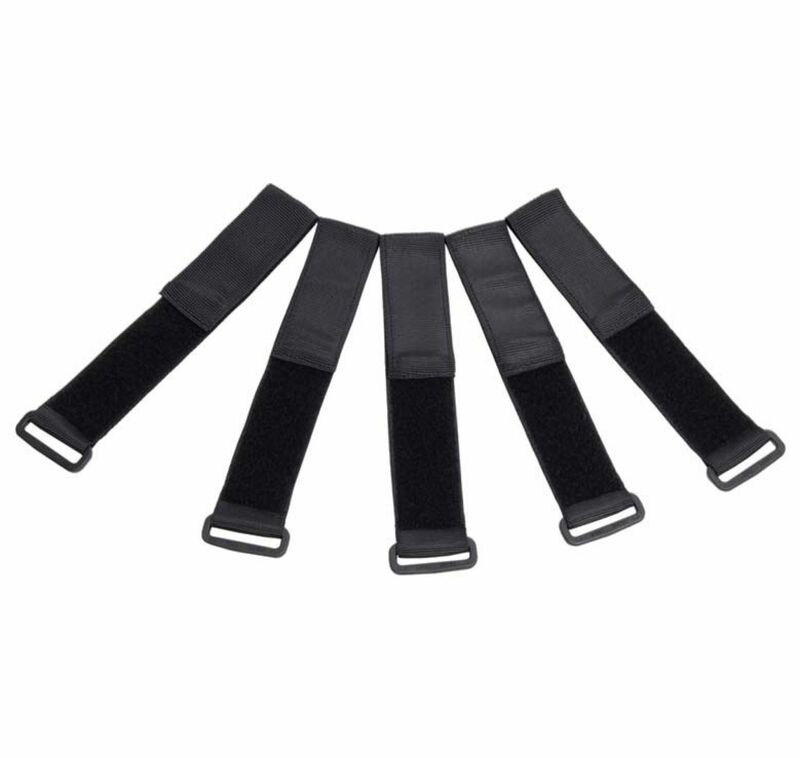 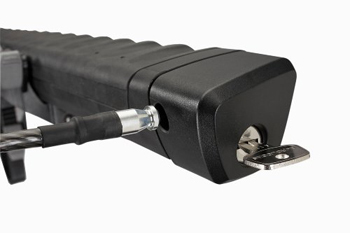 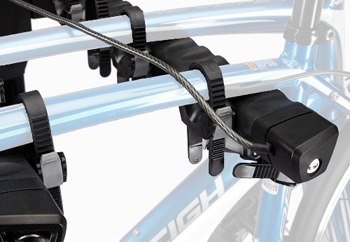 Individual bike cable locks are longer, more durable, and easier to use. 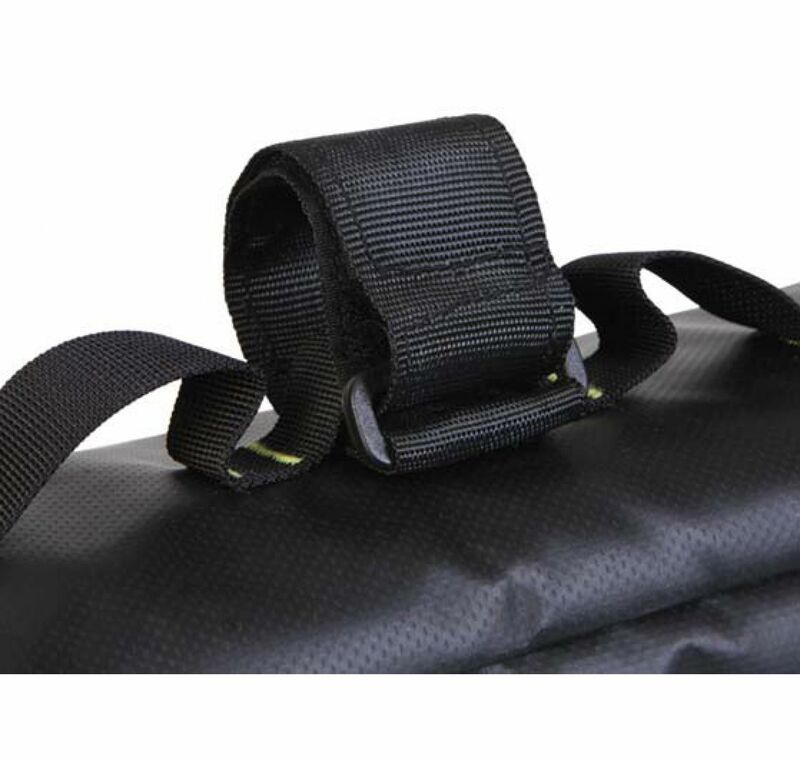 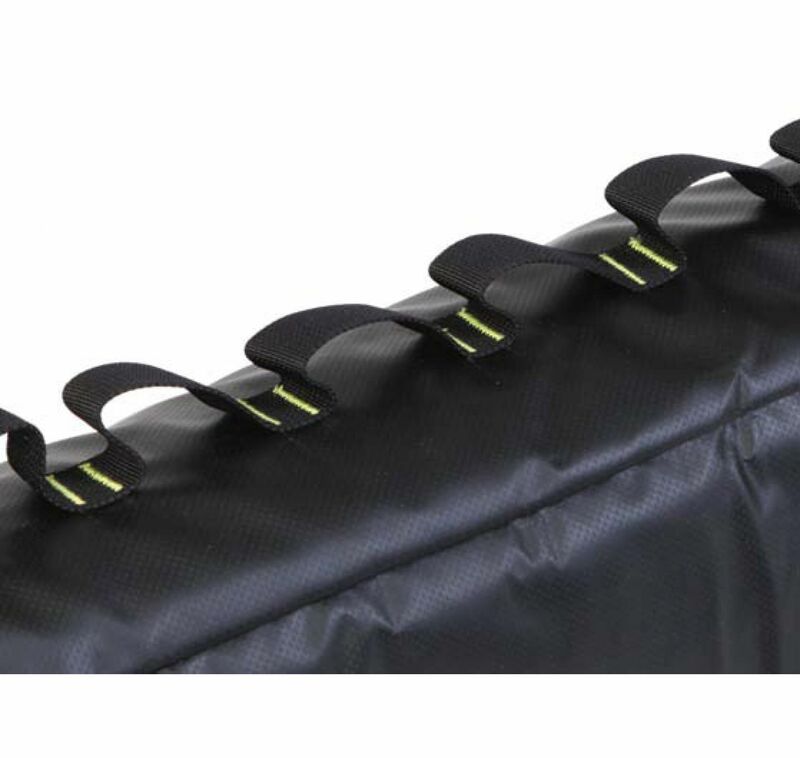 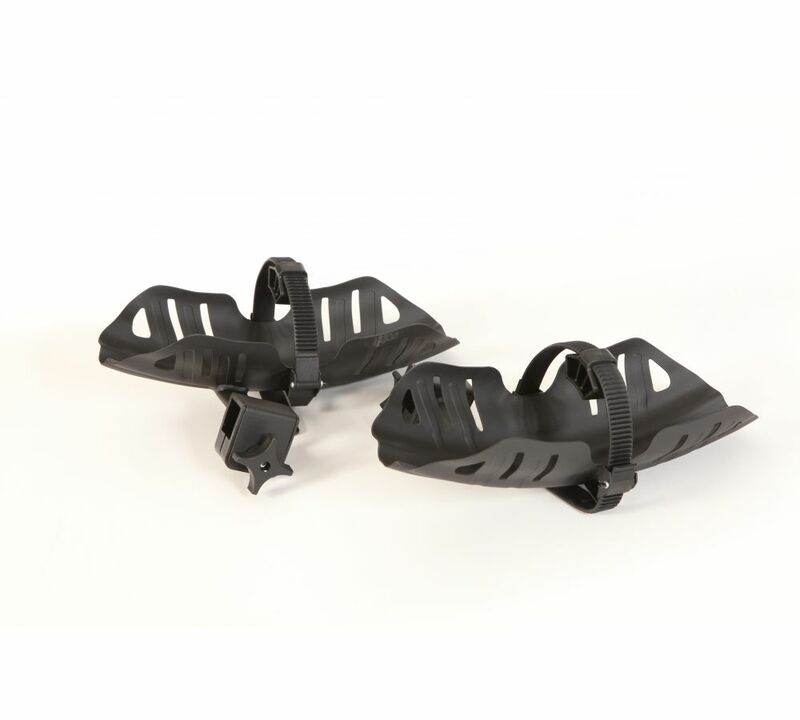 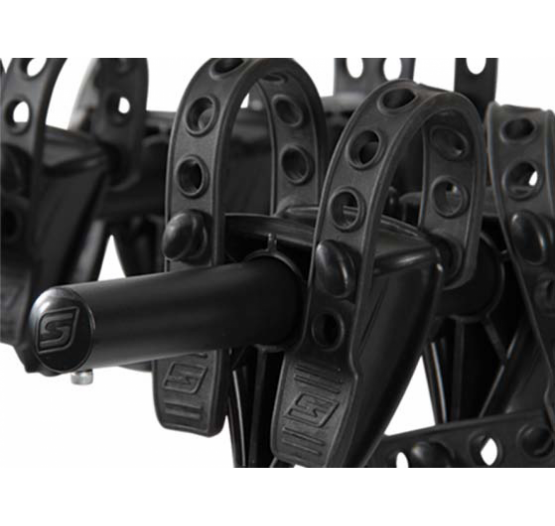 Holds bikes with up to 4.8” tires insure a true fit for any bike in your stable. 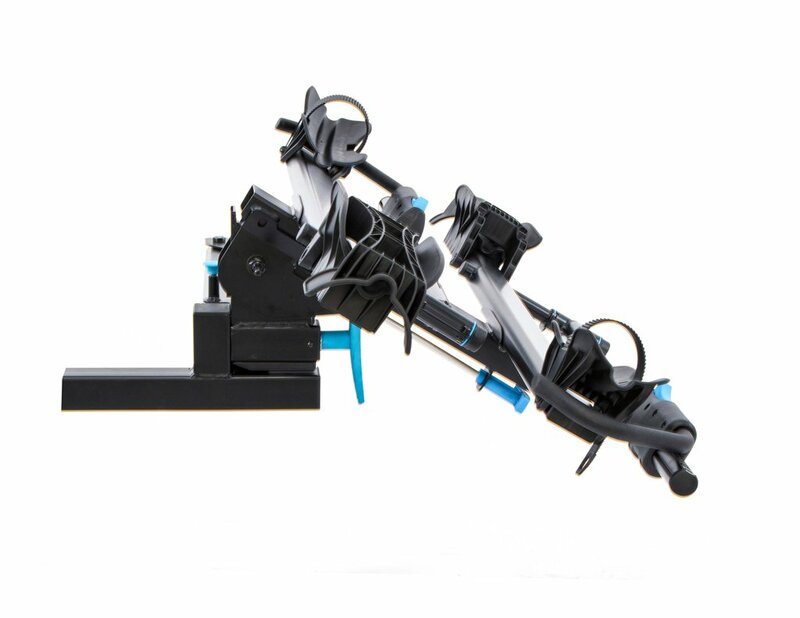 Updated ratchet arm creates intuitive release and a more stable tow. 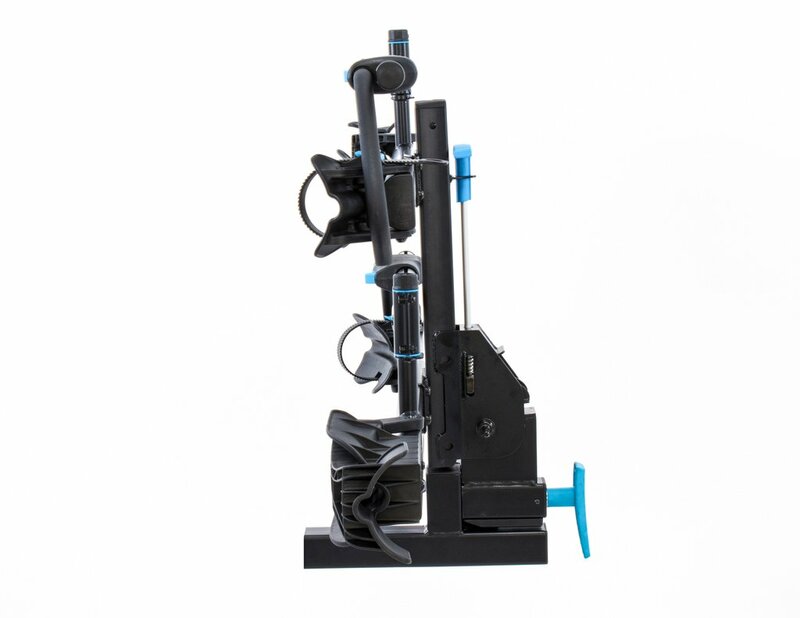 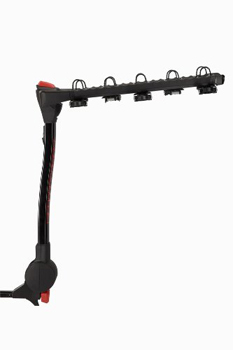 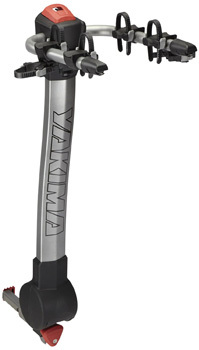 The ground up re-design of the Trail Doc work stand delivers a pro level feel. 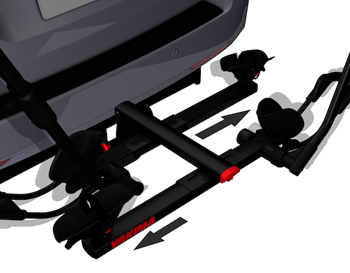 These are only the highlights, resulting from 3 years of extensive development, making the NV 2.0 the most advanced hitch rack on the planet. 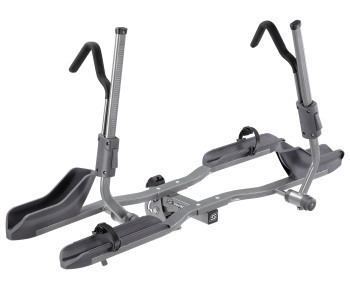 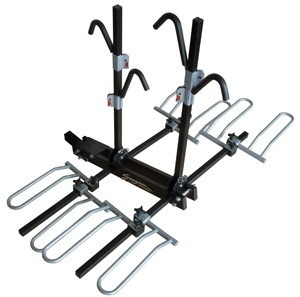 Deluxe platform style bike rack for two bikes. 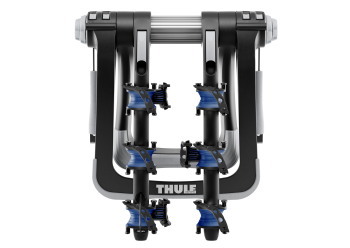 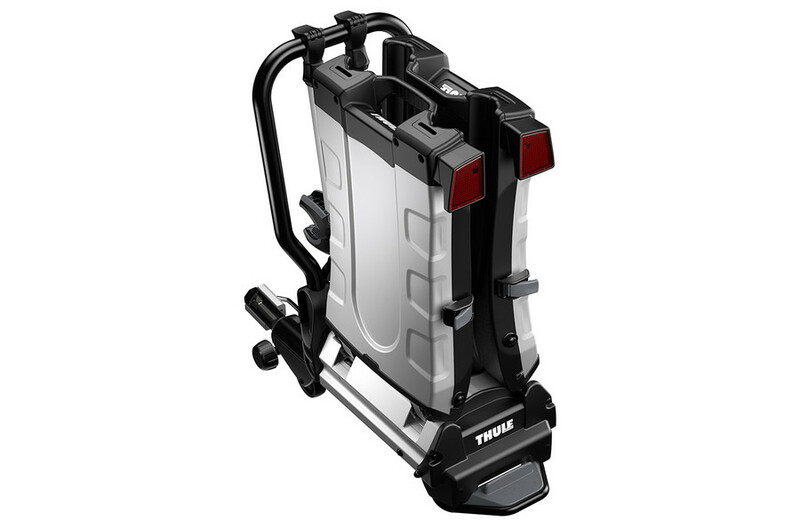 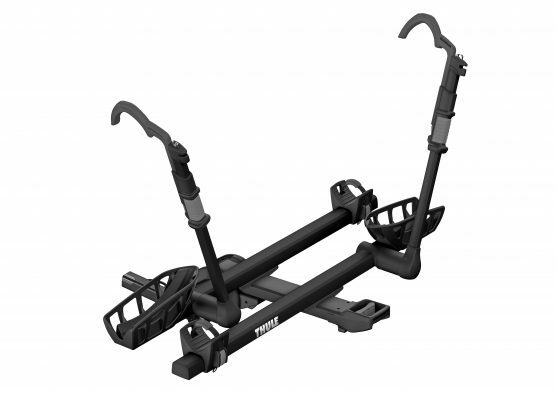 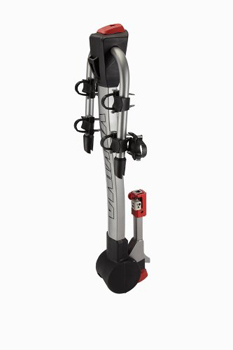 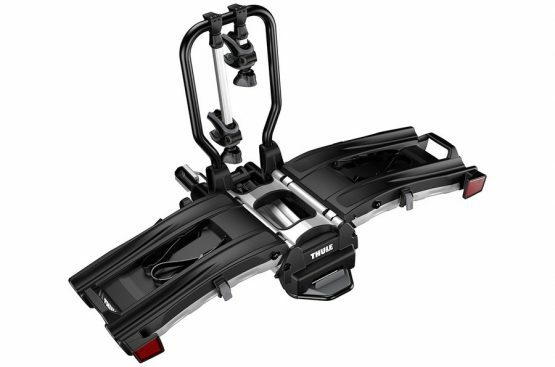 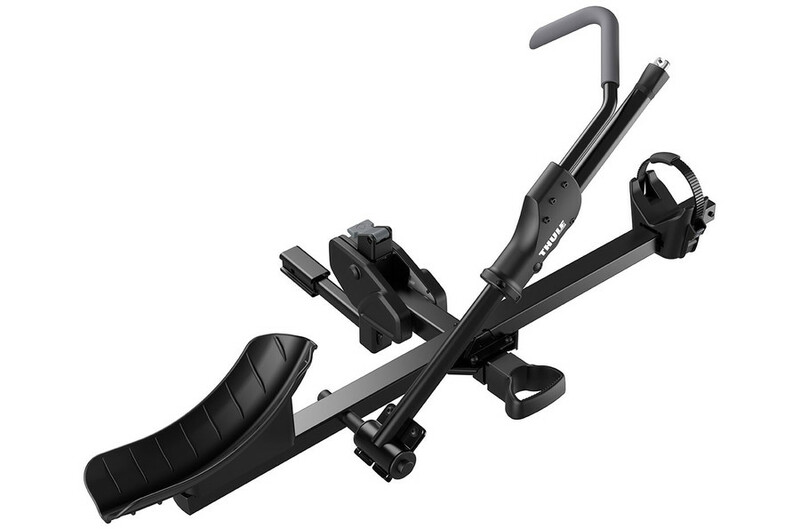 THULE T2 PRO 9036XT, 2 BIKE ADD-ON. 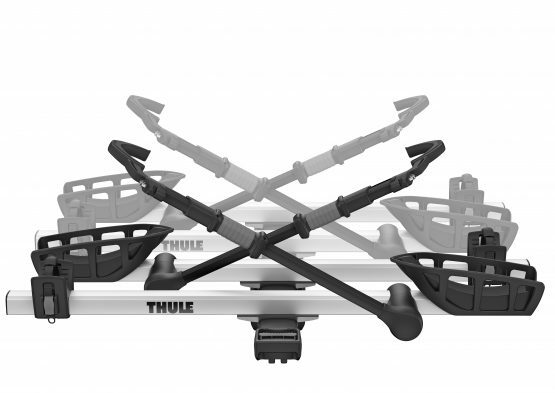 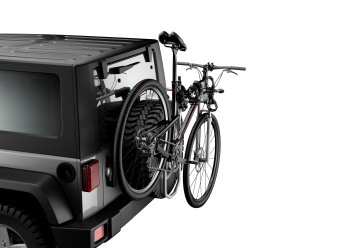 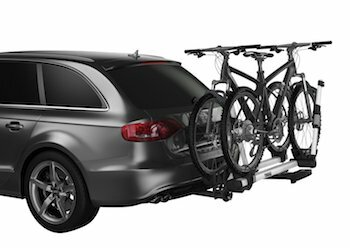 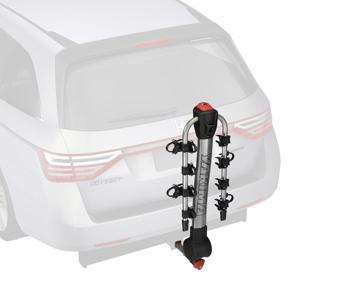 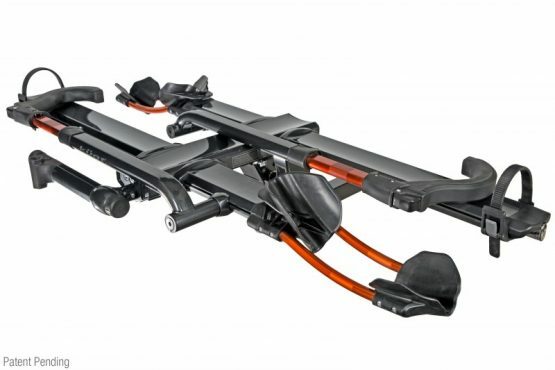 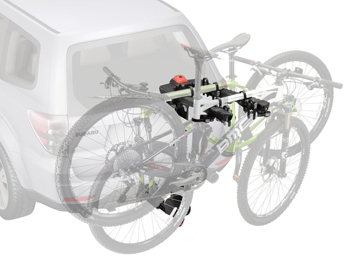 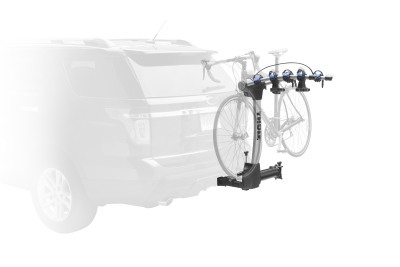 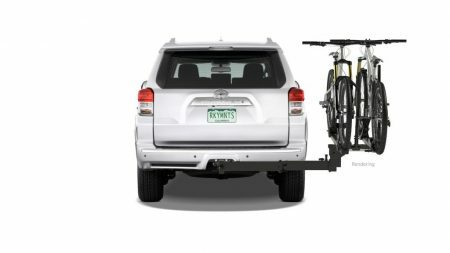 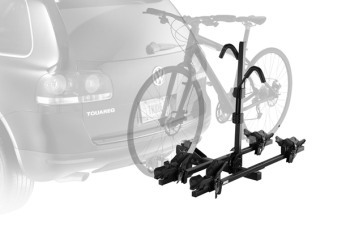 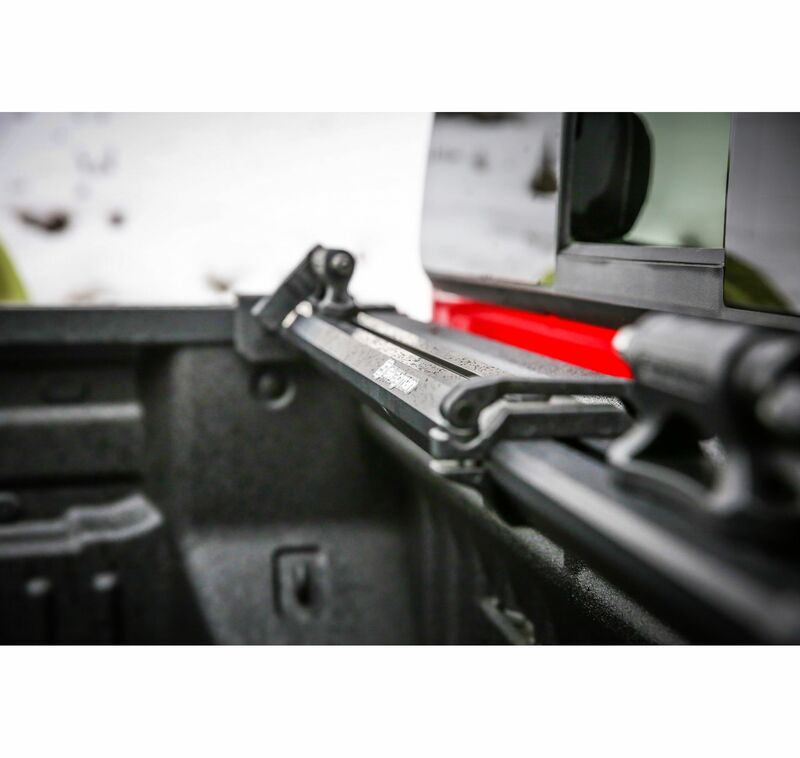 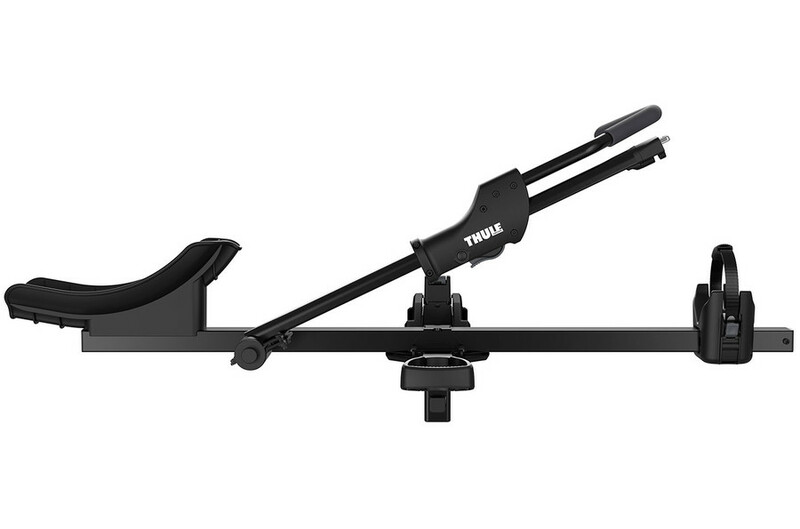 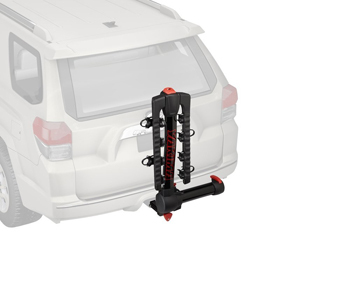 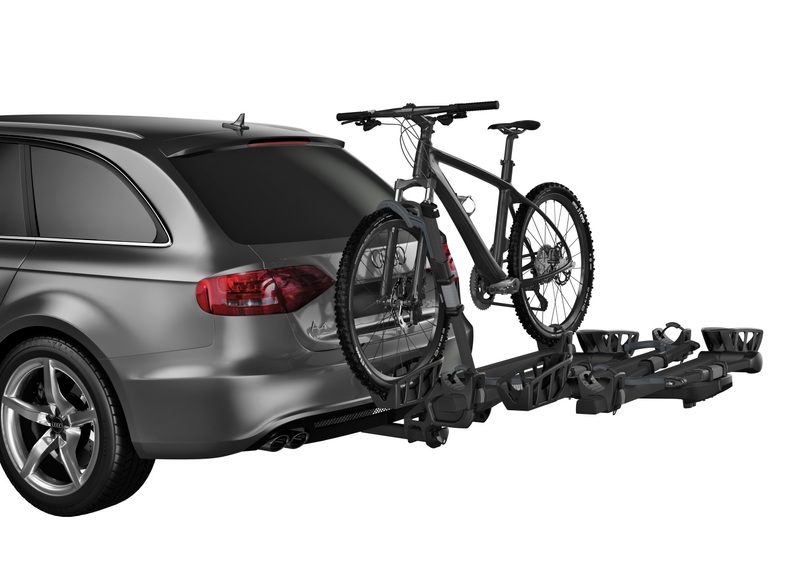 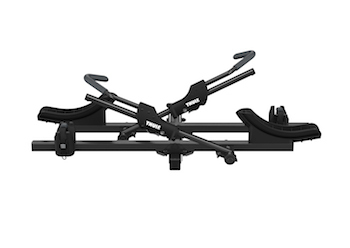 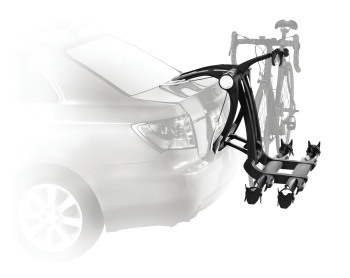 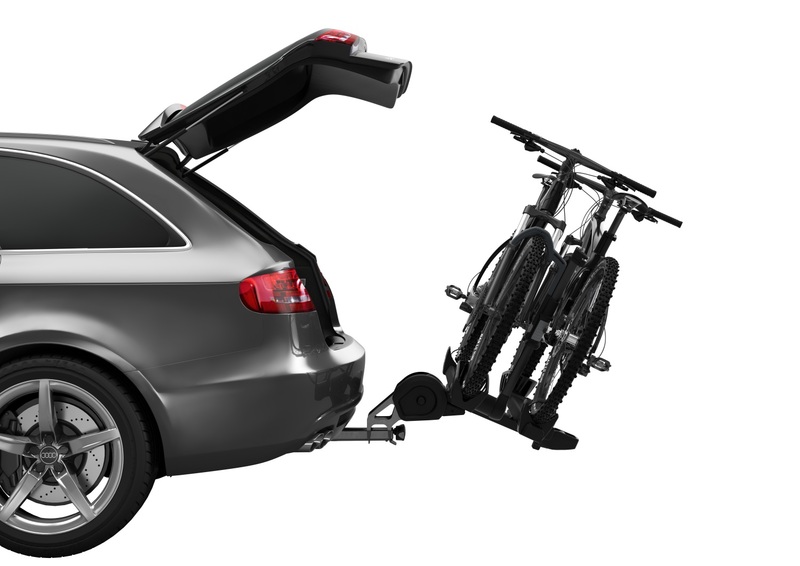 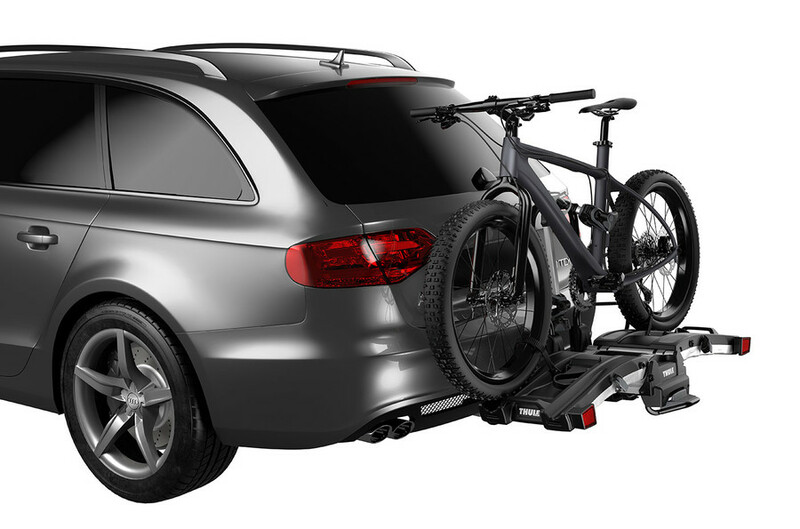 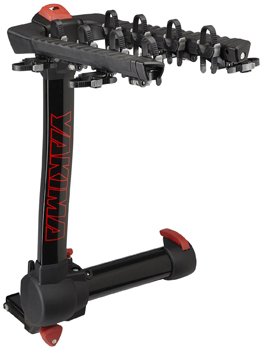 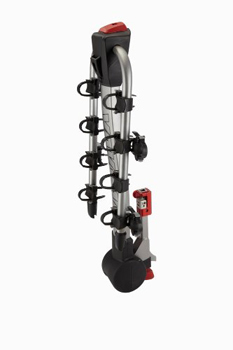 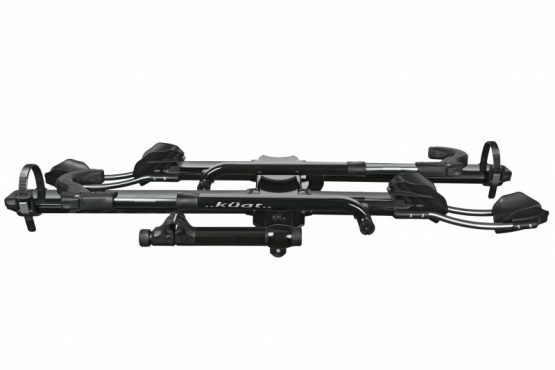 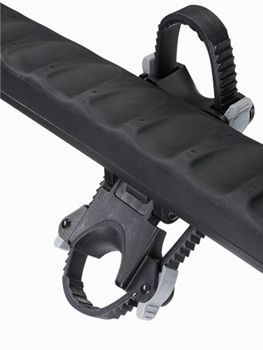 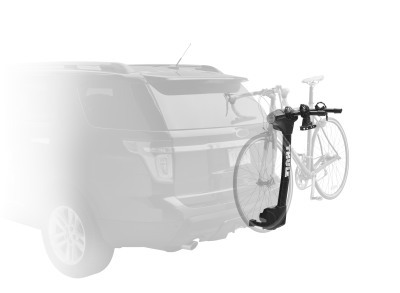 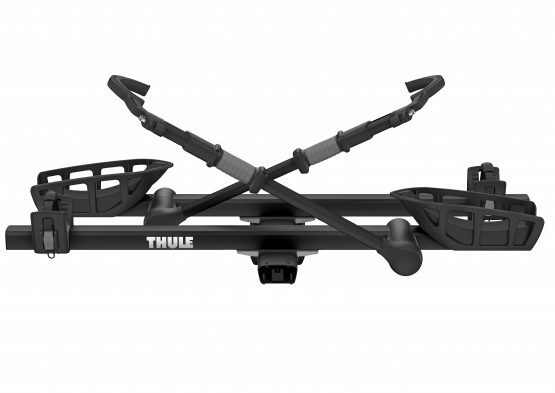 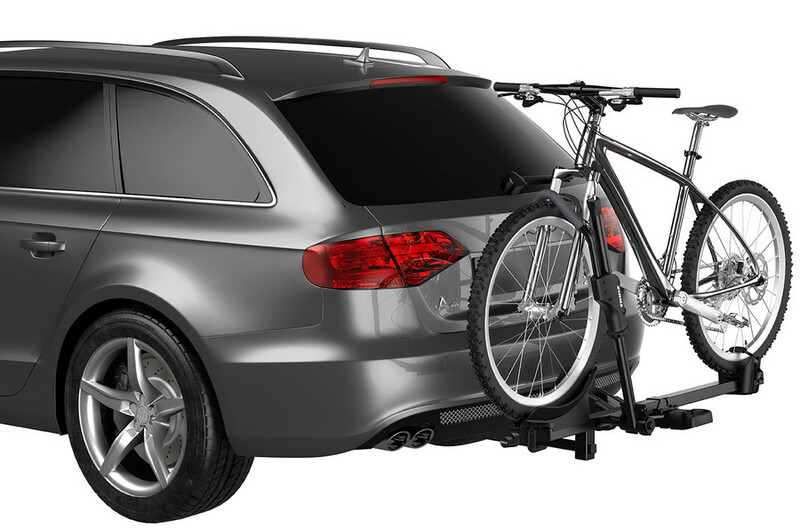 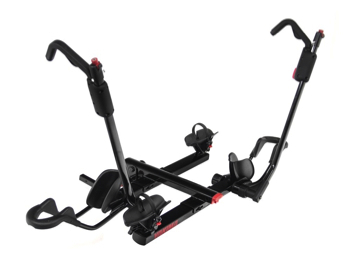 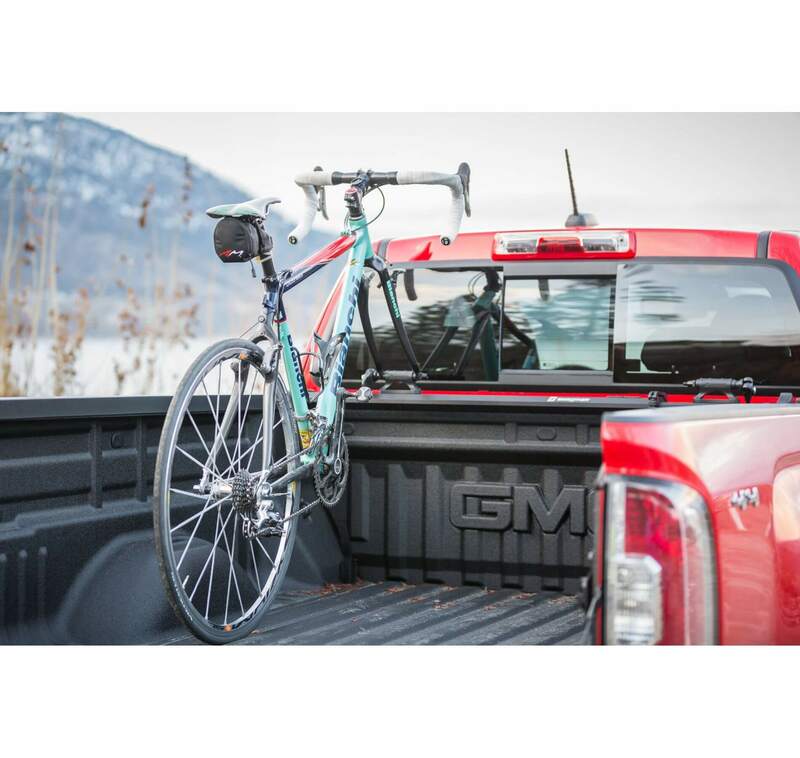 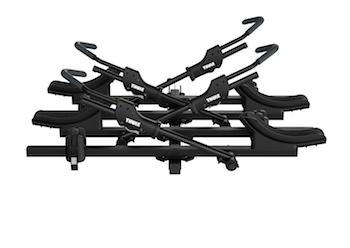 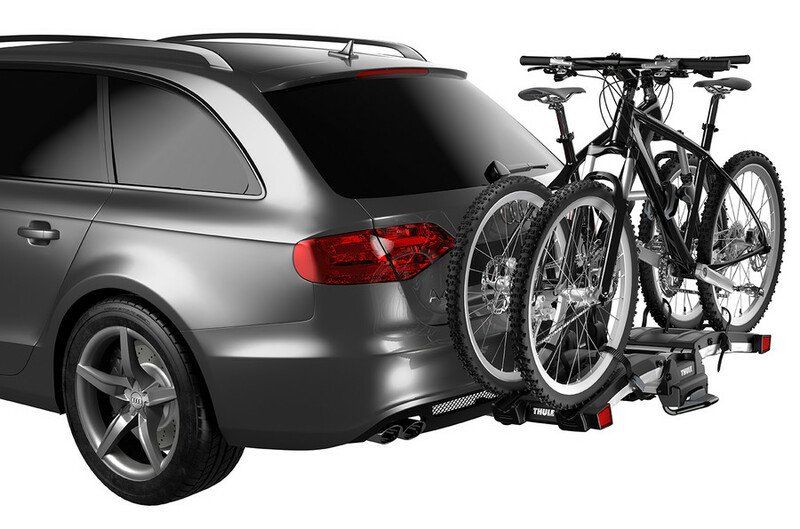 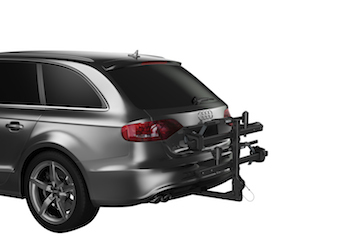 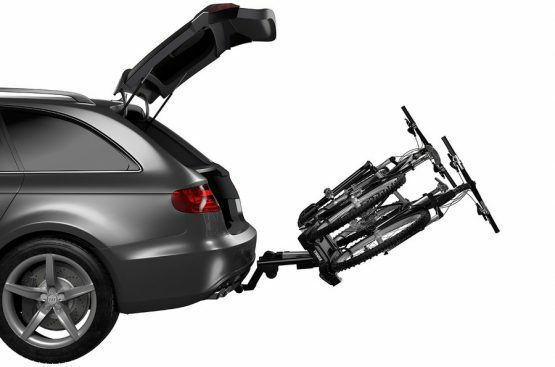 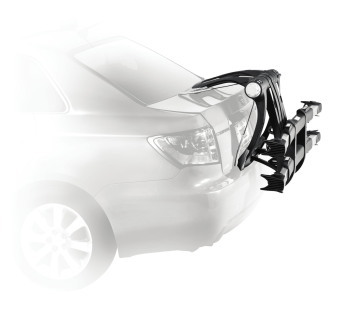 This add-on to our premium Thule T2 Pro XT platform hitch rack allows 4 bike capacity (2"/50mm receivers only). 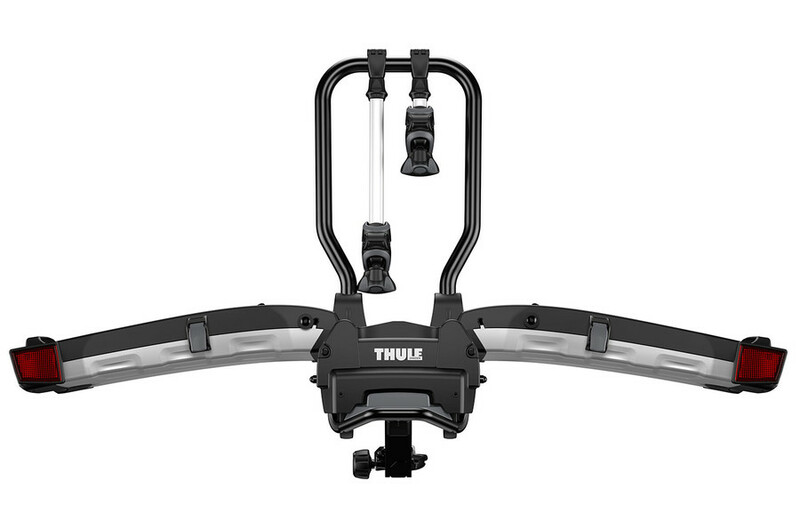 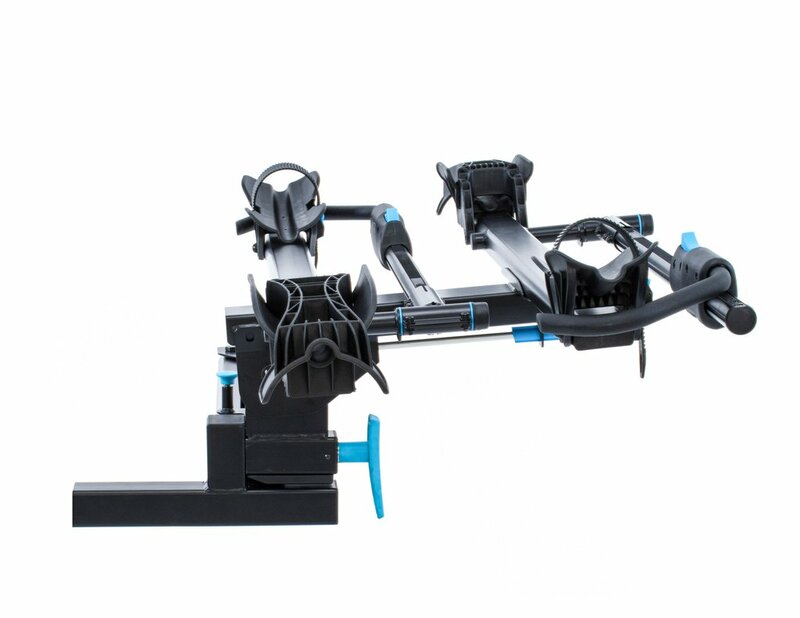 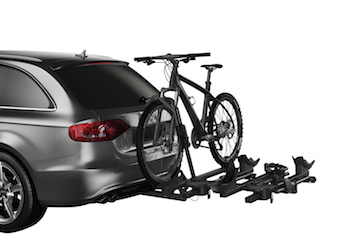 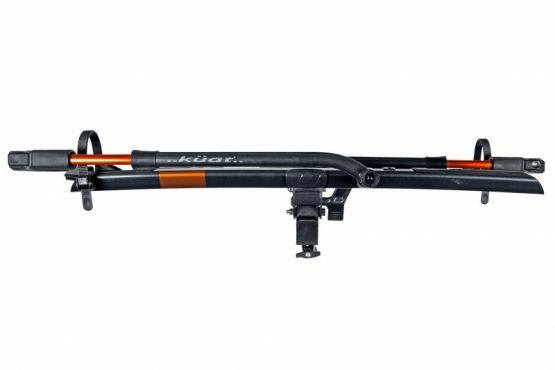 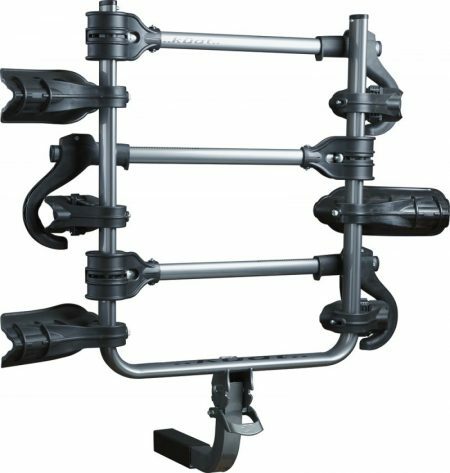 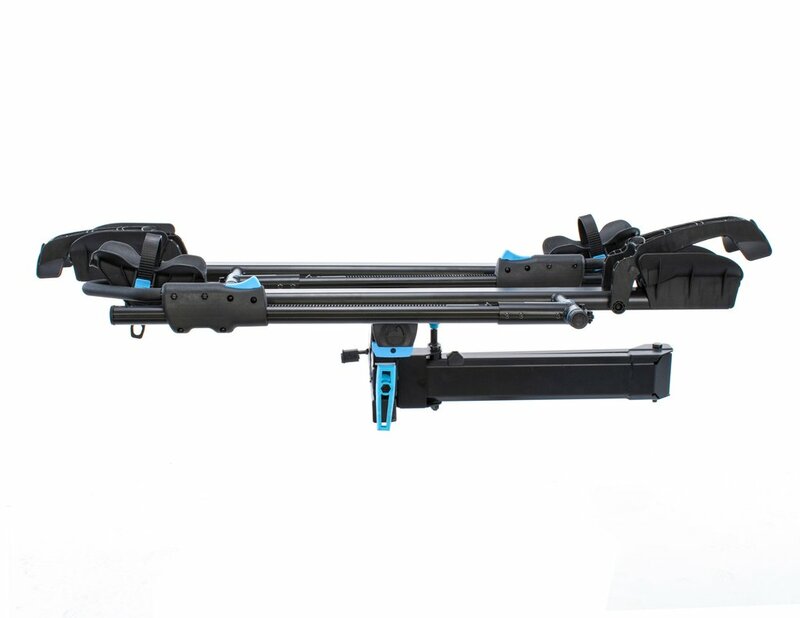 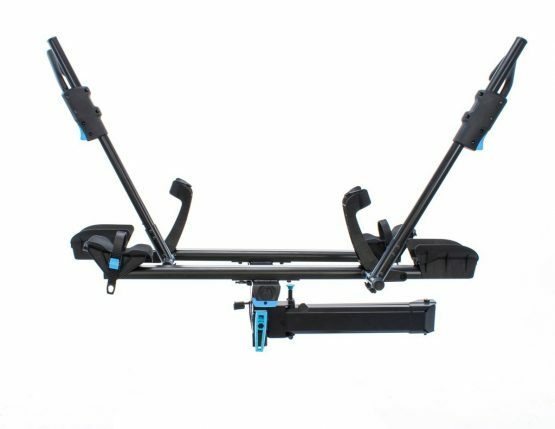 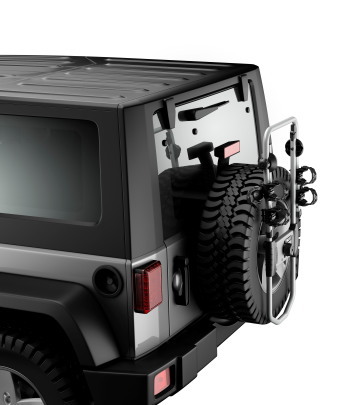 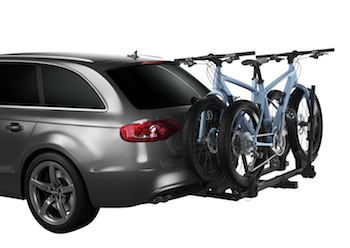 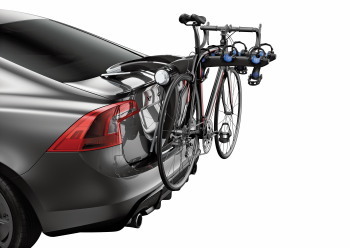 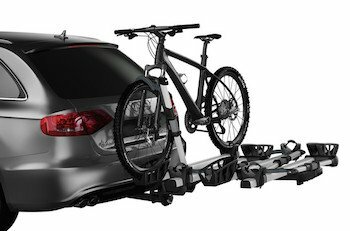 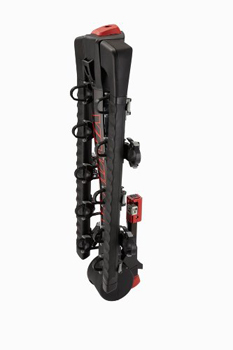 This add-on to our premium Thule T2 Pro XT platform hitch rack allows 4 bike capacity (2″/50mm receivers only). 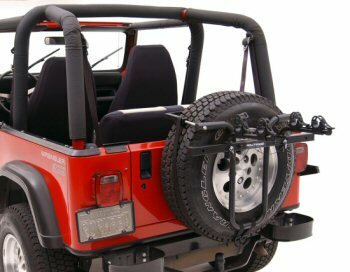 A popular choice for outside mounted spare tires. 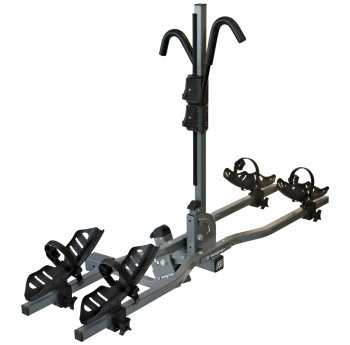 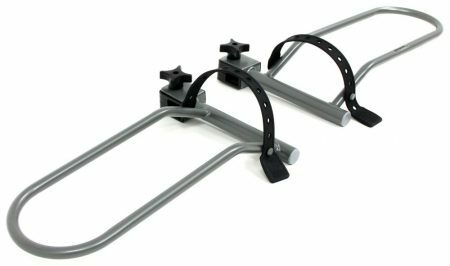 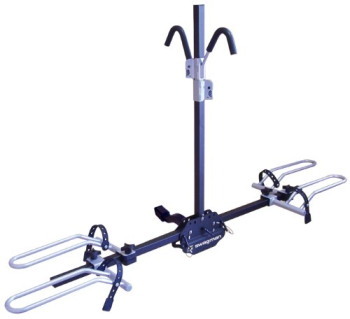 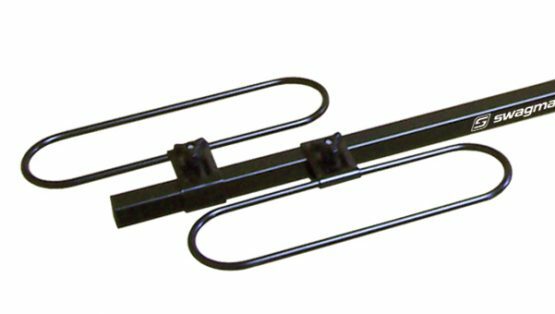 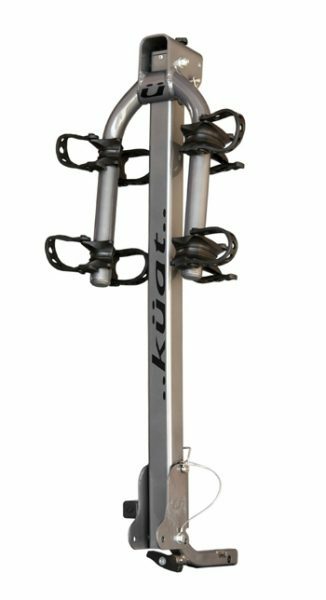 A very popular platform style hitch rack for two bikes. THULE 9046 T2 CLASSIC, 2 BIKE ADD-ON. 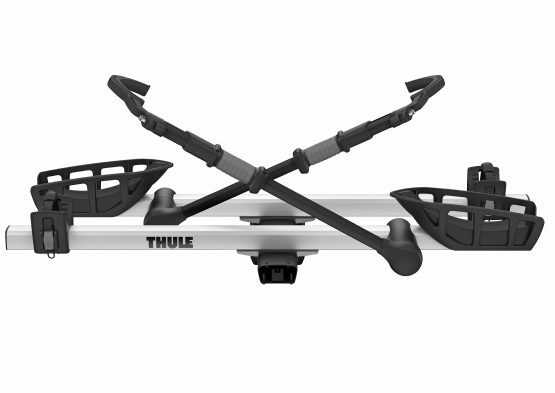 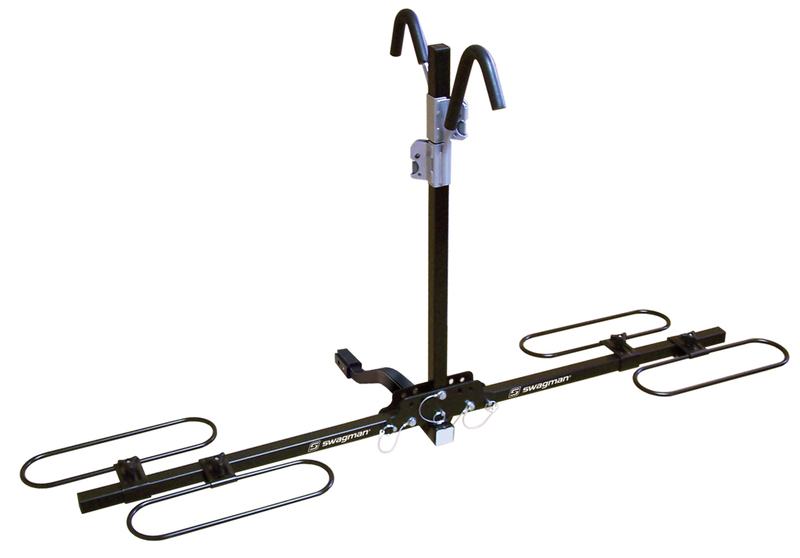 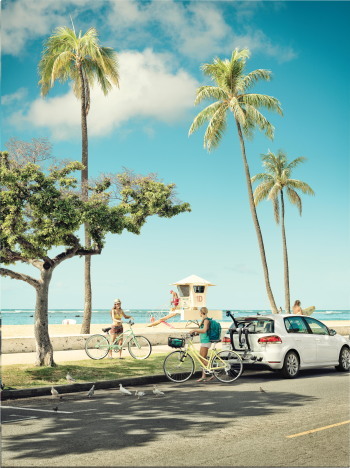 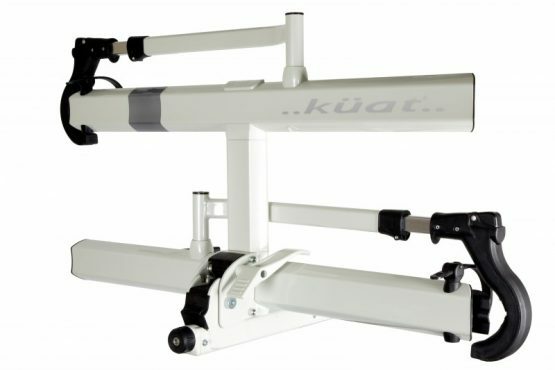 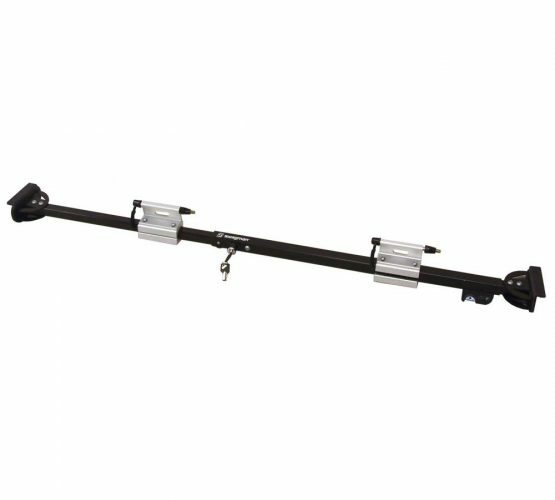 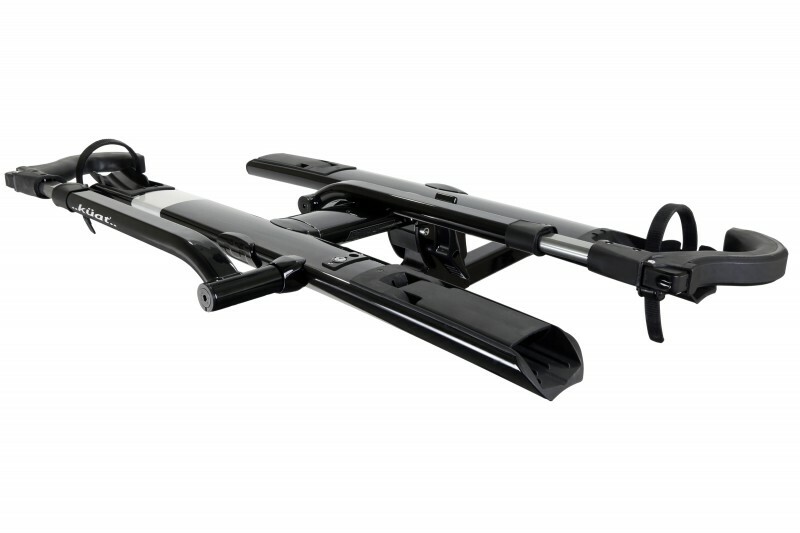 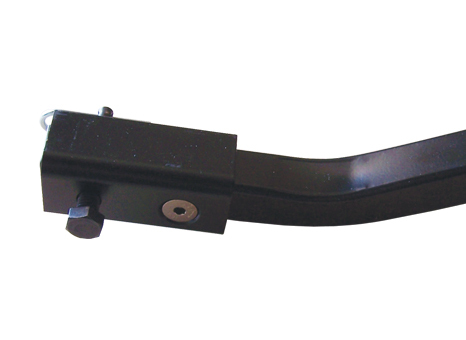 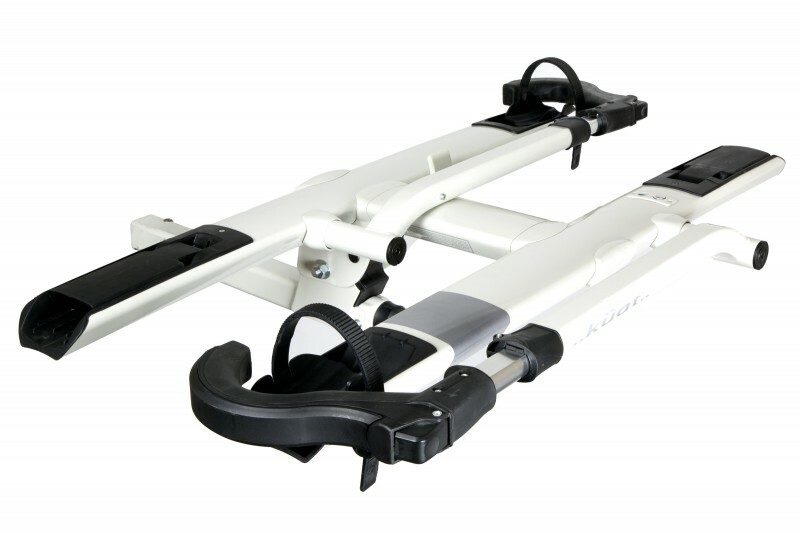 This add-on to our Thule T2 Classic platform hitch rack allows 4 bike capacity (2"/50mm receivers only). 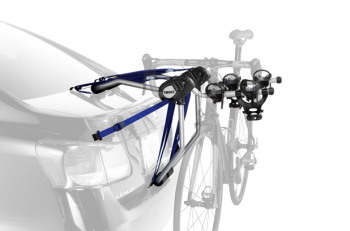 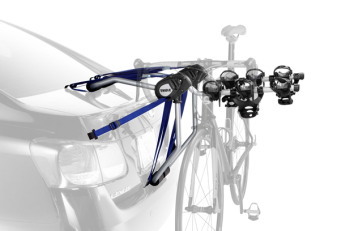 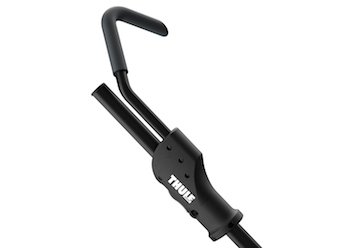 This add-on to our Thule T2 Classic platform hitch rack allows 4 bike capacity (2″/50mm receivers only). 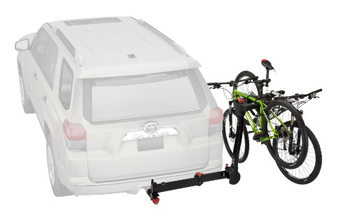 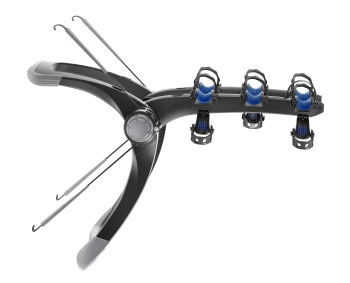 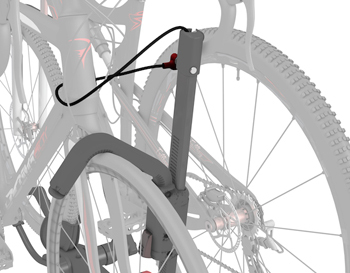 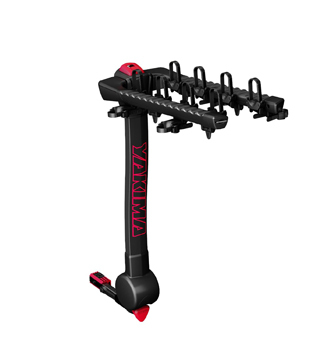 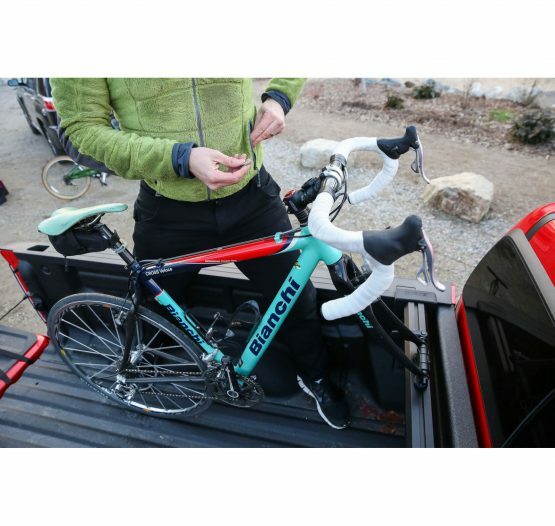 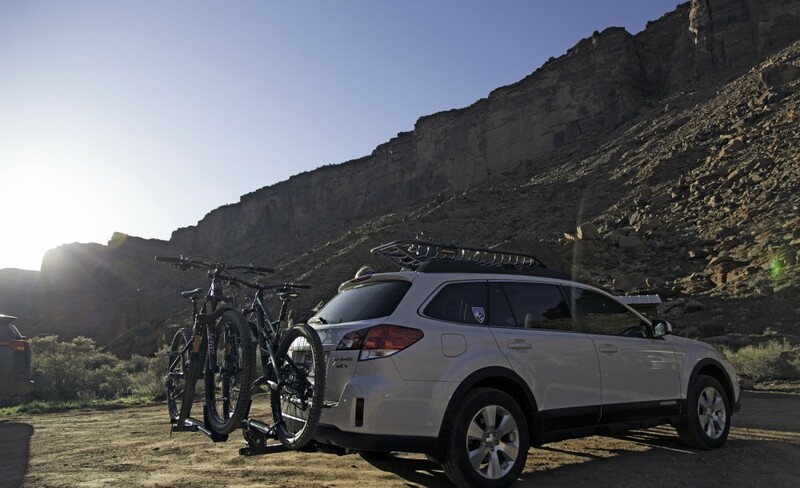 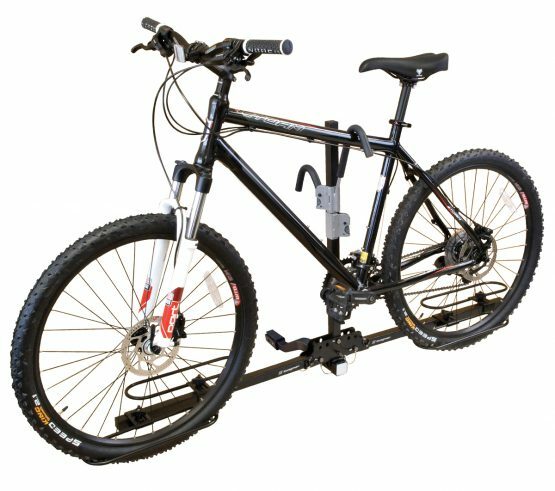 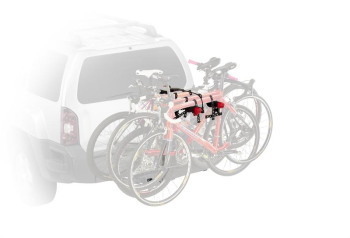 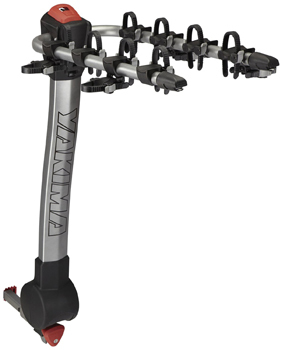 The fully foldable, compact, and easy-to-use hitch-mounted bike rack for all types of bikes. 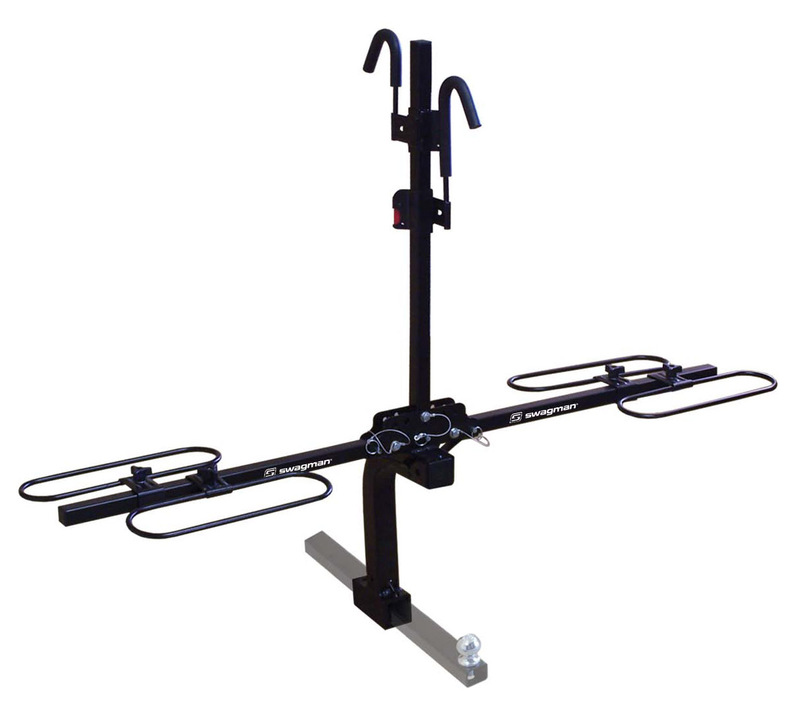 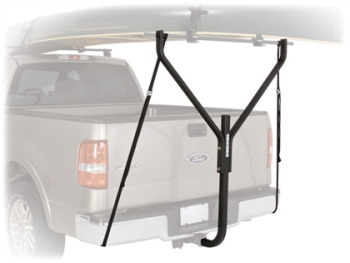 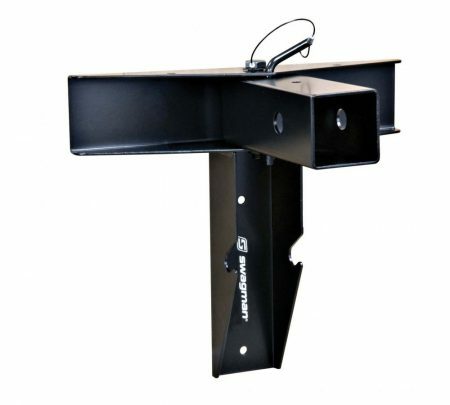 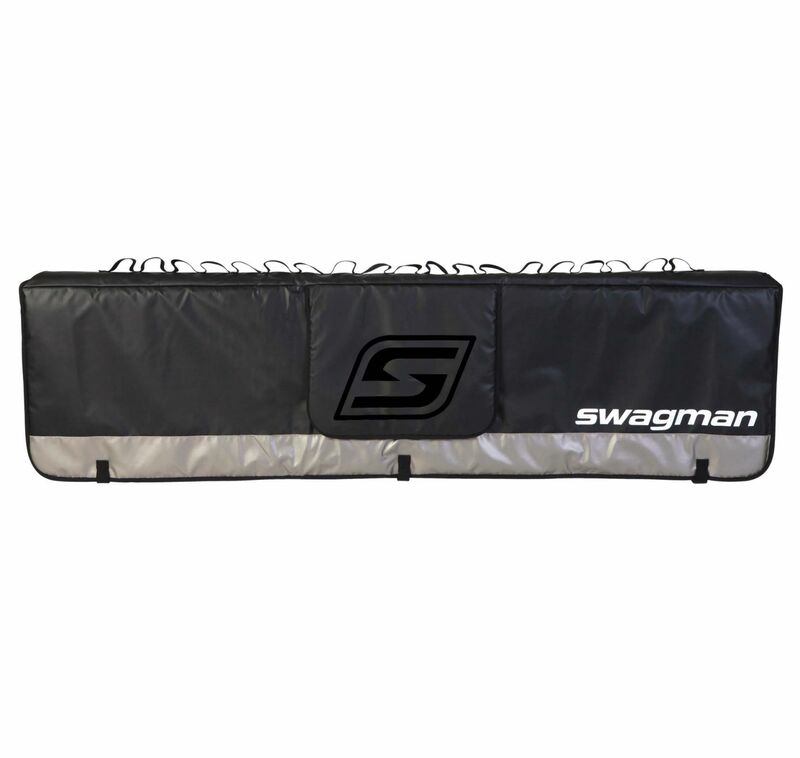 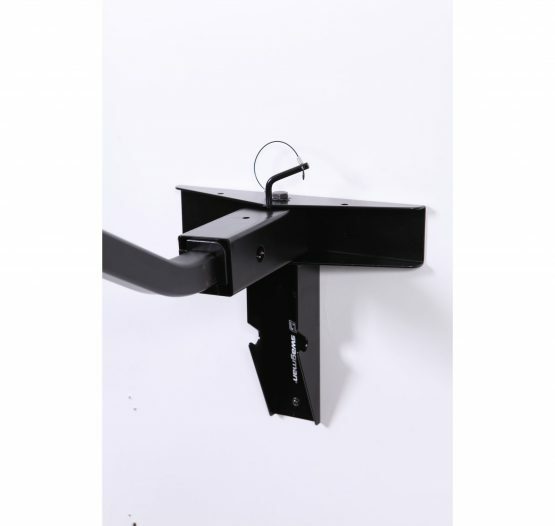 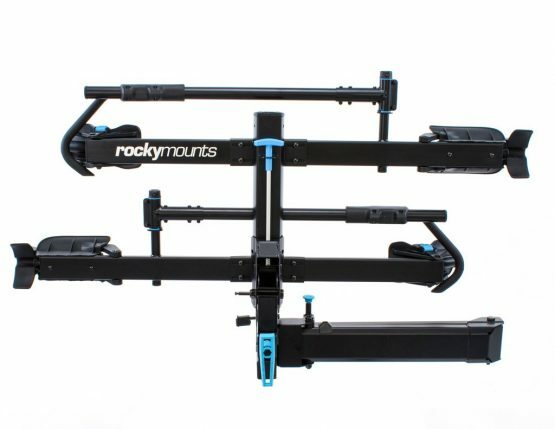 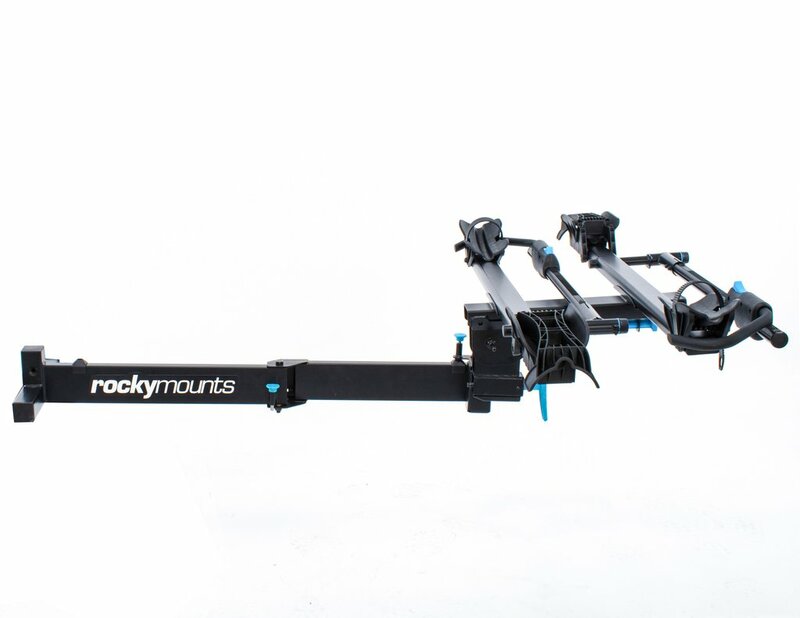 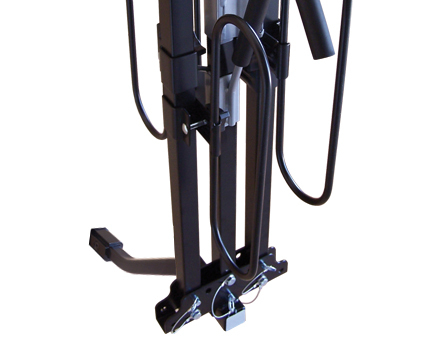 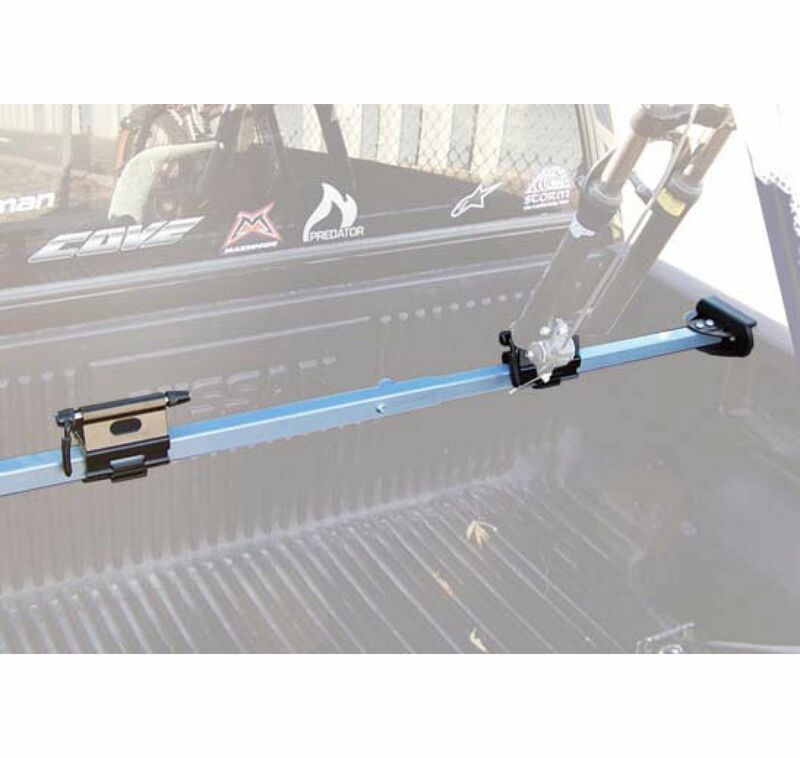 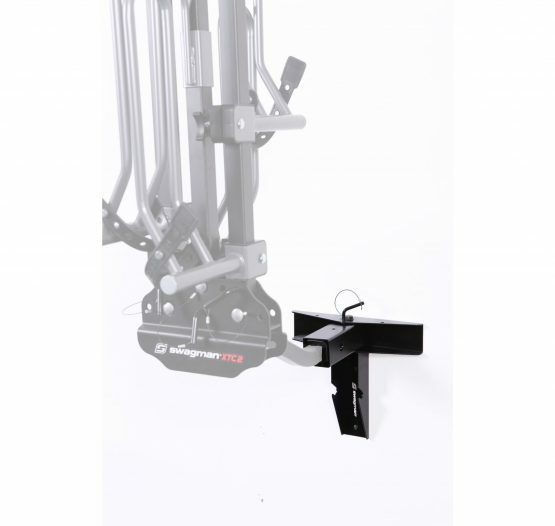 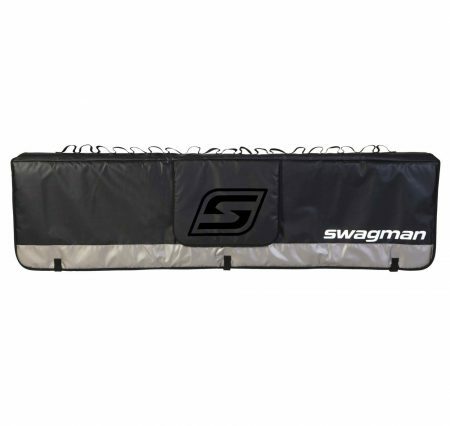 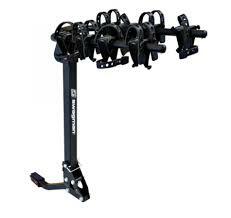 The BackStage is the first swing away platform hitch rack. 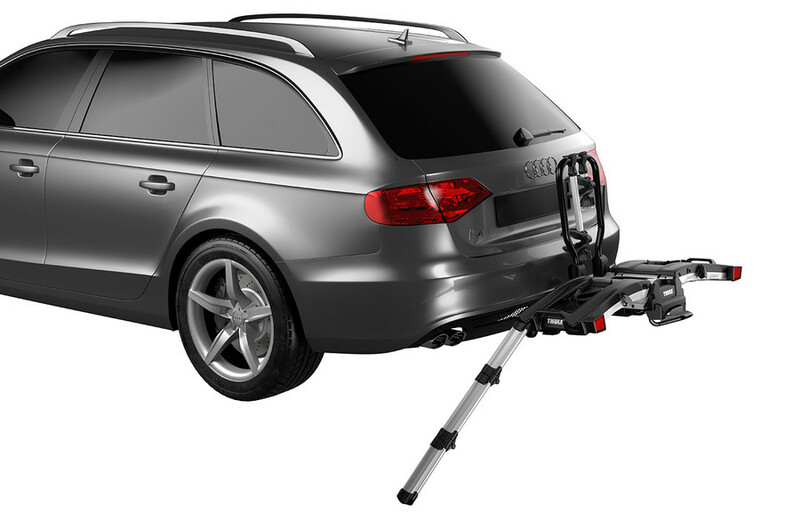 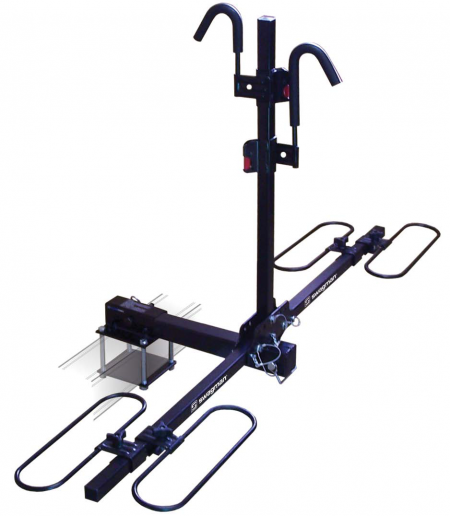 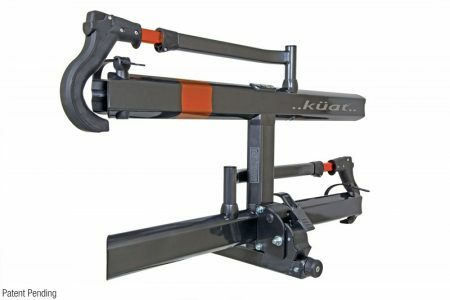 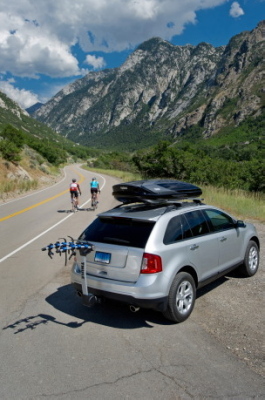 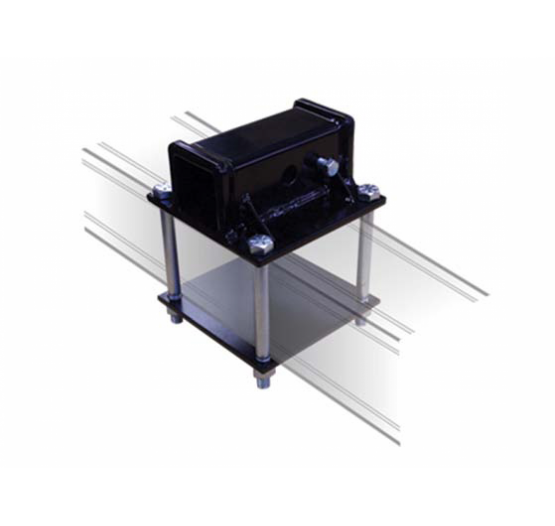 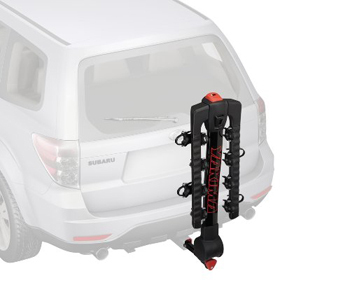 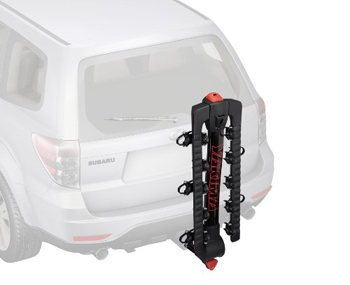 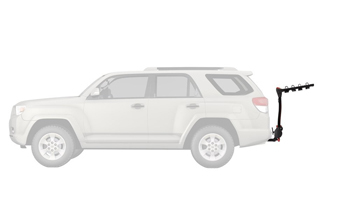 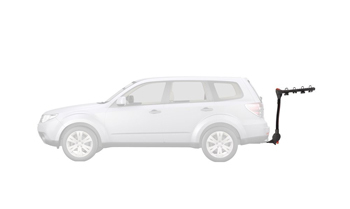 Premium platform hitch bike carrier delivers maximum strength, security and user friendliness. 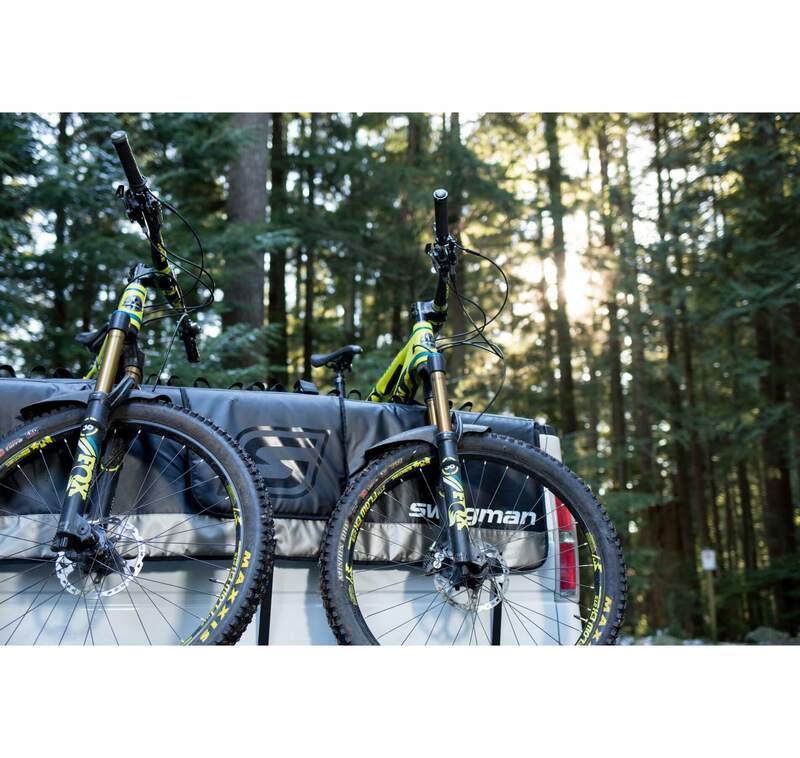 The all-new aluminum Sherpa 2.0 resets the standard for user-friendly adventure. 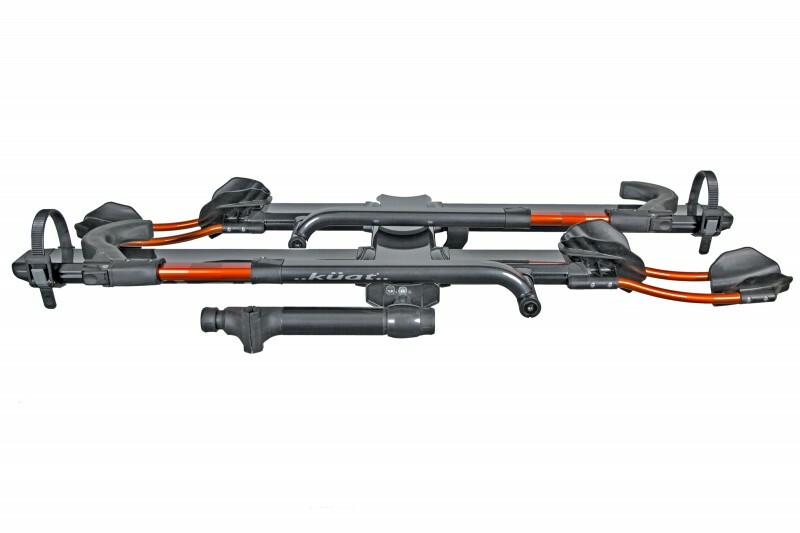 Folding tire cradles create an abundance of clearance while the foot-actuated pivot lever lets you bask in the glory of carrying bikes. 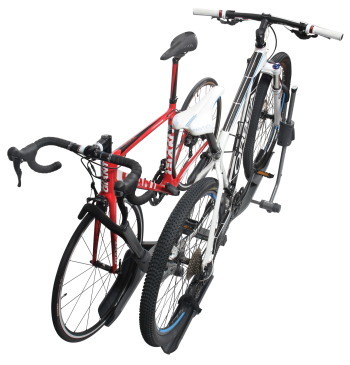 The only lockable strap-on bike rack available.